Valentine’s Day is sneaking up on us. 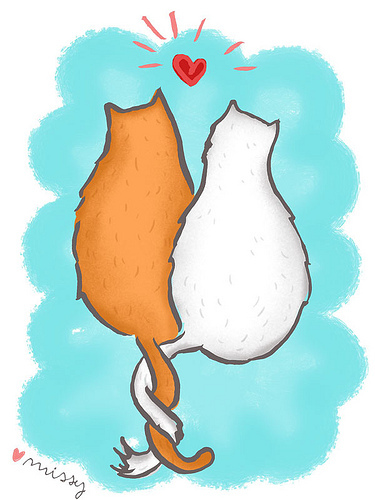 I love this entwined cat tails illusion by Missy aka sugar cookie on Etsy. Hello My name is Missy…: Illustration Friday – Twirl. Thank you so much for showing my Twirl illustration!